A new collection of racing-inspired watches resulting from collaboration between French watchmaking brand and French F1 Team. While the main plate at Bell & Ross is still military/pilot’s watches – as we’ve seen with the new MA-1 and some other novelties presented recently, like the Bi-Compass – other territories have also been explored by the brand. 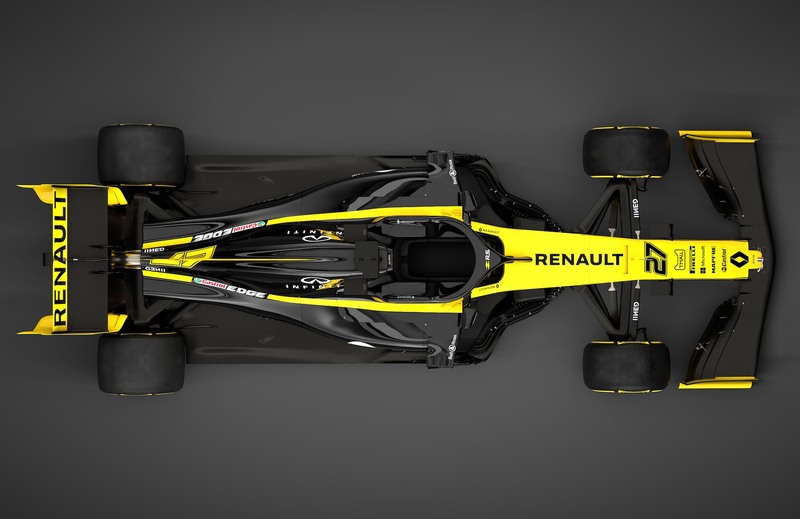 One of the recurring themes is Formula 1 and the partnership with Renault F1 – which already gave birth to three collections, R.S.16, R.S.17 and R.S.18. 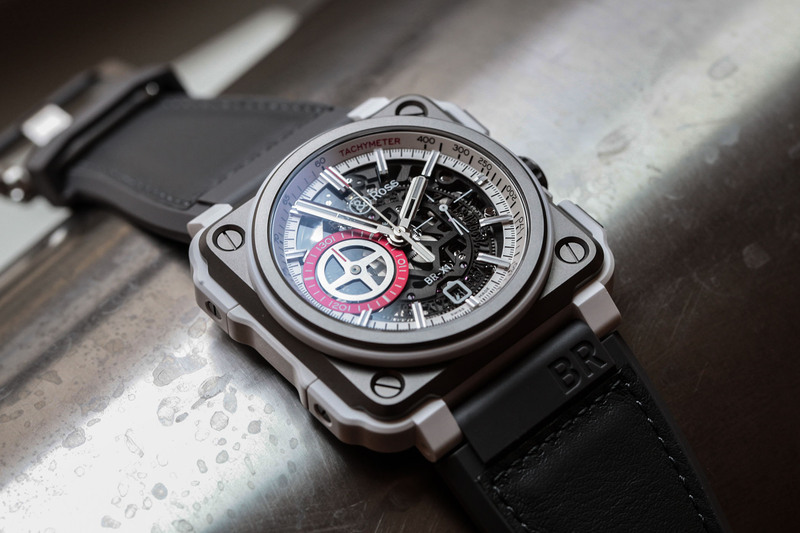 Still one of the sponsors of the French F1 team for the upcoming season, Bell & Ross unveils at Baselworld 2019 a new range comprising four models, the R.S.19 Collection. These watches are, at first, a far cry from the original inspiration behind the brand. No military forces or jet fighters here. No army-styled, survivor-style watches either. The focus is racing, racing and more racing. AsCEO Carlos Rosillo commented when we interviewed him, “we enter into a new territory with new challenges, but this doesn’t mean that we’ll turn our back on the aviation universe. We’ll always remain faithful to our origins, but it is normal for us to always search for new inspirational fields. With this new partnership, the opportunities in terms of creation are limitless.” The brand had to diversify to remain relevant with the market and F1, even though far from the military roots, remains focused on action, performance, dedication and technical expertise. 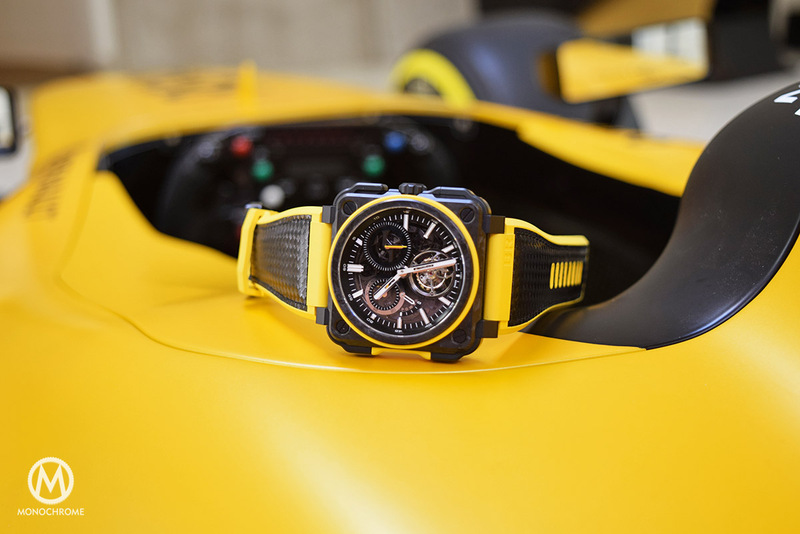 After three previous Bell & Ross x Renault F1 collections – R.S.16, R.S.17 and R.S.18 – and with the new F1 season revving up, it was time for the brand to unveil the fourth in the series. The main ingredients that made the previous collections successful are still present, with racing-inspired materials, bold colours and a technical look. 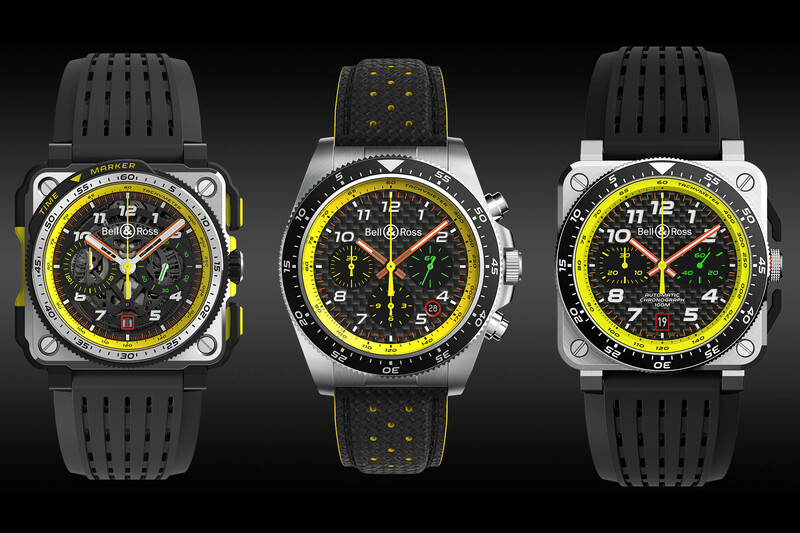 So let’s have a look at the four models that are comprised in the Bell & Ross R.S.19 Collection. The first watch to be unveiled is a classic take on the racing chronograph: the Bell & Ross BR V3-94 R.S.19. This watch is an evolution of the Vintage collection but not just an update of dials and colours. For the occasion, Bell & Ross wanted to create a more robust piece. The classic round case of the Vintage BR V3, here made of stainless steel, remains apparently untouched in terms of design, with the same overall shape. Yet, we’re in front of an “XL” model with a 43mm case. For more practicality, the brand has opted for normal pump pushers, instead of the usual screwed ones. The case remains water-resistant to 100m and is well-protected thanks to crown guards. It is available on either a steel bracelet or a textured leather strap – note the inter-lugs piece, also new on this model. As for the dial, we still have a bold combination of yellow and red accents over a dark background. The dial is made of carbon fibre, for the racing touch. The Bell & Ross BR V3-94 R.S.19 is a traditional three-register automatic chronograph, with a 30-minute counter at 9 o’clock and a 12-hour counter at 6 o’clock. In addition to this, the bi-directional bezel allows for “on the fly” timings and is notched for easy grip while wearing gloves. The BR V3-94 R.S.19 will be limited to 999 pieces. Price will be EUR 3,990 (leather strap) or EUR 4,300 (Steel bracelet). The second model in the Bell & Ross RS19 Collection is a square take on the watch we’ve just shown you. 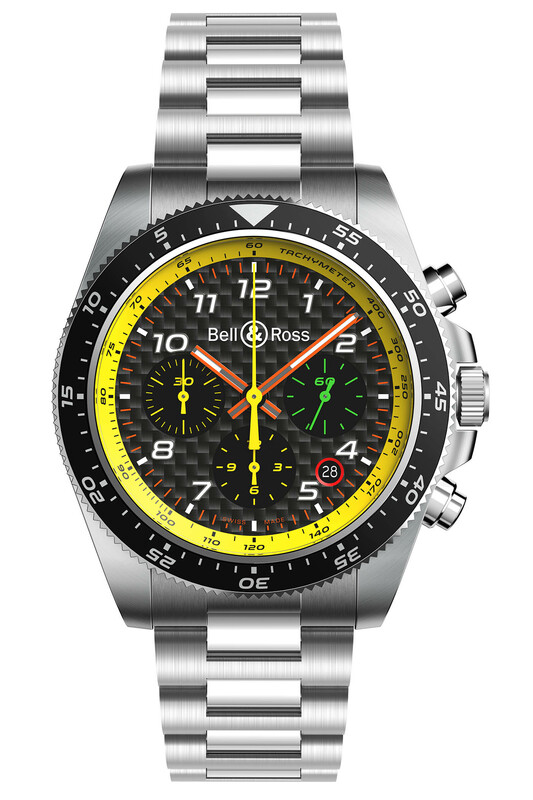 The Bell & Ross BR 03-94 R.S.19 shares most of the elements explained above, however, with the iconic “circle within a square” case, so dear to the brand. 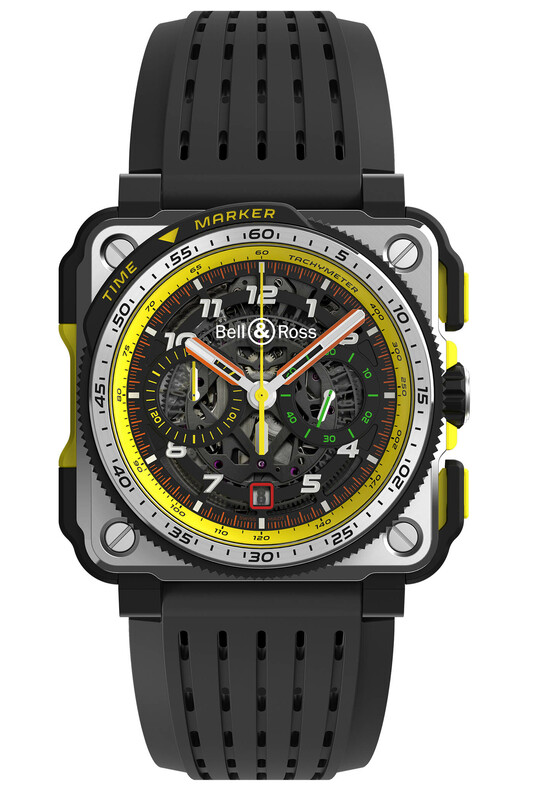 The BR 03-94 R.S.19 is a 42mm x 42mm steel, automatic chronograph with the usual design of the brand. The case alternates between brushed surfaces and polished accents. Rather new to this model is the addition of a rotating bezel, here with a 60-minute scale – the bezel is bi-directional and allows for “on the fly” timings. 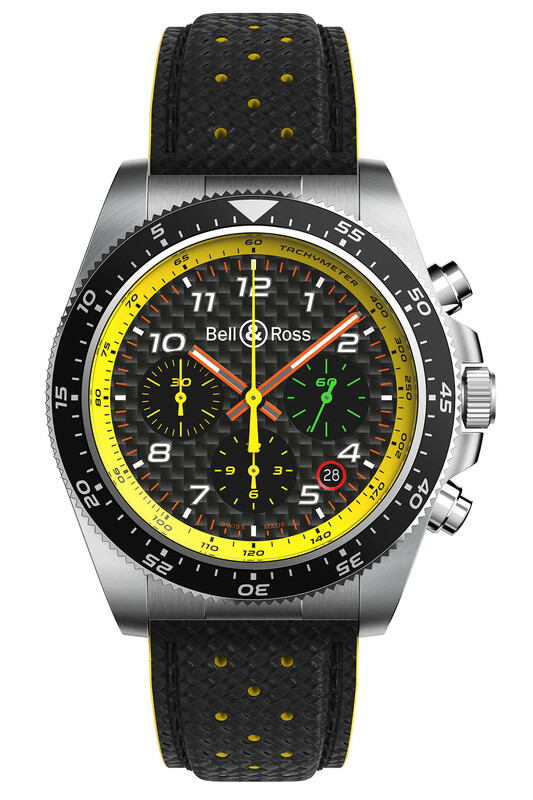 The Bell & Ross BR 03-94 R.S.19 features a 30-minute and 12-hour chronograph display on a carbon fibre dial, with yellow (tachymeter scale, sub-counters) and red accents (hands and date). It shares the same engine as above and will be delivered on a perforated rubber strap. 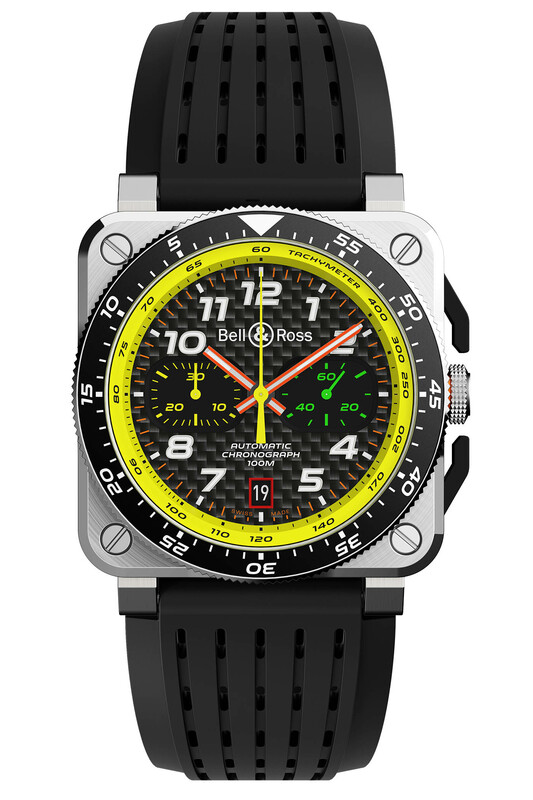 The Bell & Ross BR 03-94 R.S.19 will be limited to 999 pieces. Price will be EUR 5,900. We now move to more complex and more technical watches. 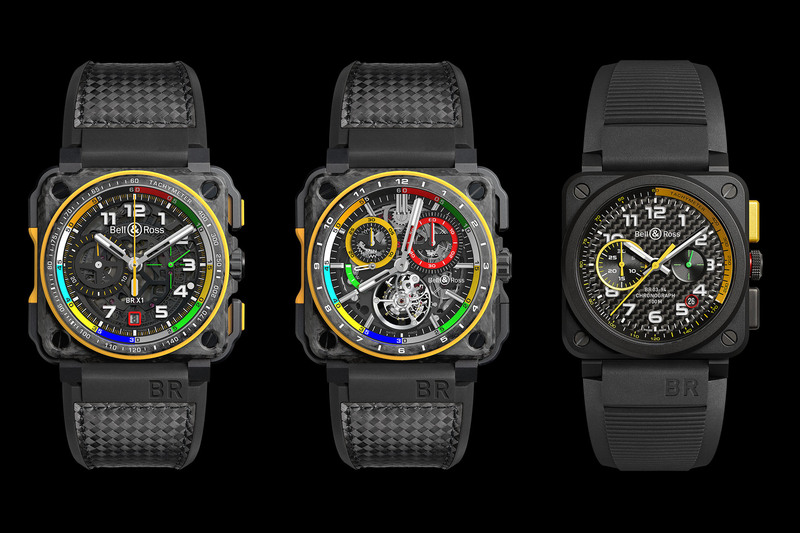 The BR-X1 has been an important collection for the brand and marked its entry into a more high-end market. This watch, with its skeletonized dial and its modular case, is now fully integrated into the collection as the uber-BR watch. 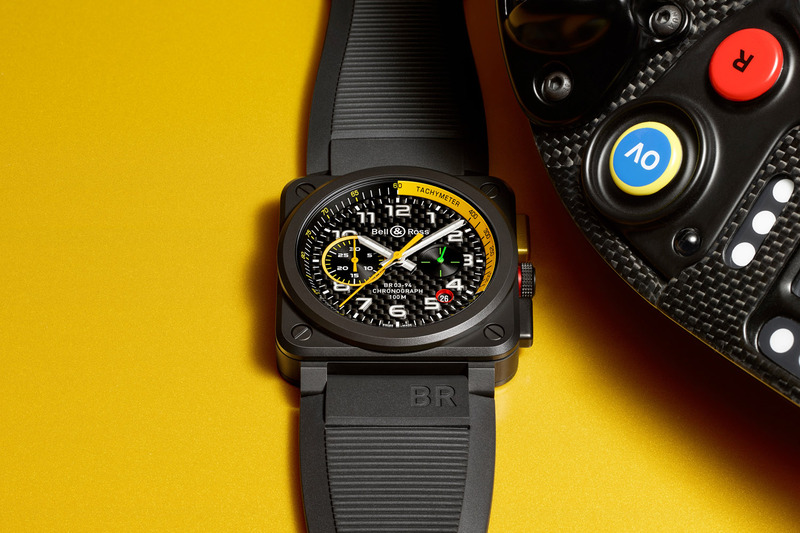 For Baselworld 2019, the new Renault F1 collection integrates one of these technical chronographs with the Bell & Ross BR-X1 R.S.19. 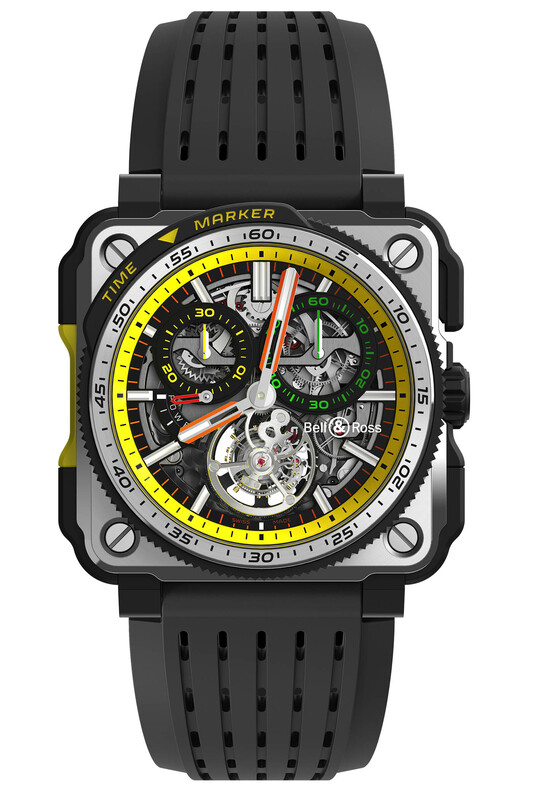 The watch features a more technical, bolder look – with a 45mm x 45mm case – and is made with lightweight, resistant materials – grade 5 titanium for the case surrounded by a bumper in micro-blasted ceramic and yellow rubber that acts as a peripheral protective shell. A rubber grip function has also been integrated into the case to ensure better handling when activating the chronograph’s ‘rocker’ push buttons, even when wearing gloves. While the red and yellow colours are still part of the package, the main novelty here is the integration of a rotating bezel with a “time marker”. 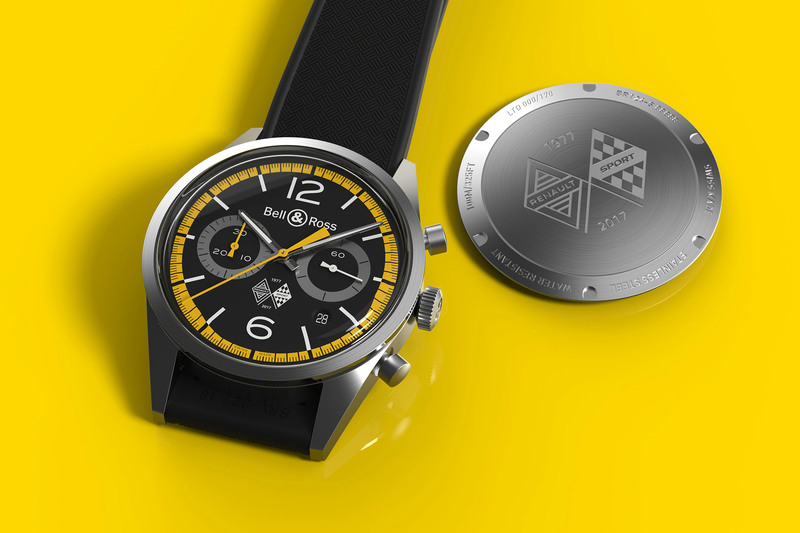 Following a hot lap, the team back in the pitlane can instantly mark wherever the chronograph’s yellow running seconds hand has been stopped, by rotating and aligning its yellow triangle. Following a second lap, the respective times can be instantly compared. The dial is also surrounded by the mandatory tachymeter scale. The Bell & Ross BR-X1 R.S.19 is powered by an automatic chronograph movement with an openworked main plate to leave some of the technical parts visible through the sapphire dial. It is worn on a black perforated rubber strap and will be limited to 250 pieces. Price will be EUR 18,900. Last but not least, Bell & Ross also presents a very limited edition watch with a high-end movement, the BR-X1 Tourbillon Chronograph R.S.19. This watch, which already existed in the past ia different attire, is equipped with a complex, haute horlogerie and hand-decorated movement which displays all its chronograph components (levers, gears, column-wheel) dial side – thanks to its skeletonized parts and a sapphire dial. Housed in a grade 5 titanium case, with ceramic and rubber details, it measures 45mm x 45mm and is worn on a perforated black rubber strap. The tourbillon cage is classically positioned at 6 o’clock but because of its large size, the 30-minute counters and the small seconds sub-dial are positioned high on the dial – one of the specificities of this movement, making original watches. Just like the BR-X1 above, the Bell & Ross BR-X1 Tourbillon Chronograph R.S.19 features a rotating bezel with a “time marker” and 60-second scale. This will be a limited edition of only 20 pieces. Price will be EUR 169,000.